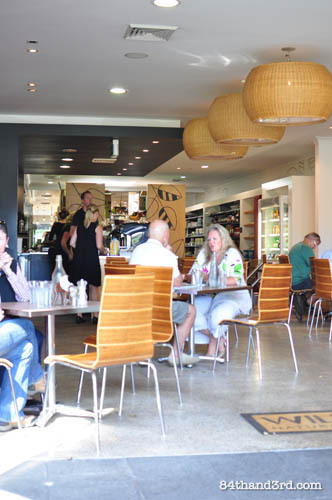 When we headed to the Southern Highlands recently I had quite a time finding any cafe reviews for great breakfasts in Bowral. I scoured the internets for at least 20 minutes during the car ride down and came up reasonably empty handed *insert eye-roll here* so we were on our own to navigate the main streets in search of food. 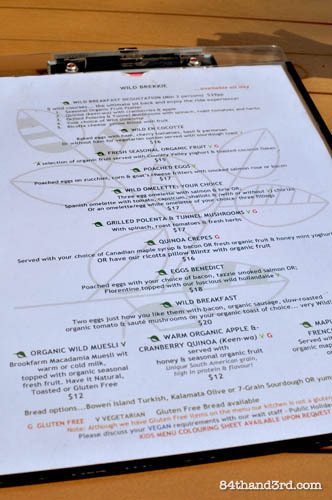 We finally made it to Wild Food Cafe on Sunday morning before heading out of town. 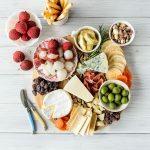 After Friday night’s stunning dinner, we had a few false starts and encounters with promising yet disappointing ‘local gems’ for most of Saturday. This cafe was redemption in the form of Sunday brunch. Based on the number of people who knew the staff and each other, it’s a spot the locals frequent and in a town catering heavily to tourists and weekenders that’s a good sign of both quality and value to me. Within minutes of sitting down in the courtyard RJ copped a ‘see I told you we should have come here yesterday if not earlier‘. As per usual he acknowledged my hangry rant with little more than a wave at the waitress to order a smoothie. 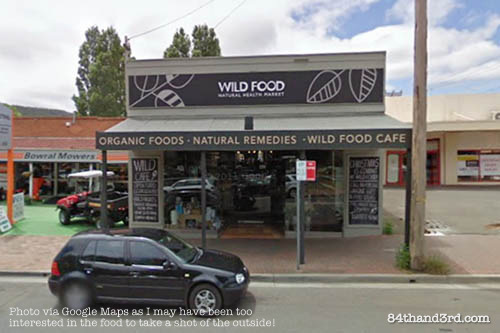 Wild Food Cafe is a lovely little organic food store on the northern end of Bowral’s main street. 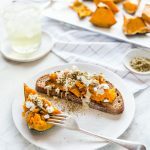 The front is full of flowers and veggies and bulk goods, but make your way through the middle of the shop – trying not to get distracted by the shelves filled with various organic sundries – and you pop out into a bustling, airy cafe. 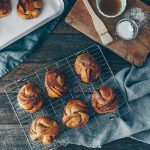 The menu changes depending on what is in-season and the display case of salads, savoury pies and sweet treats for take-away beckons as you walk through. Breakfast is available all day, which is always a win in my book, and everything looked delicious. 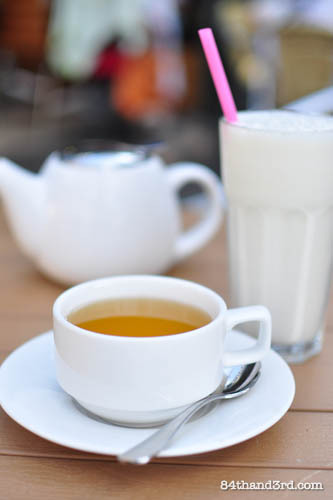 RJ started with a large Organic Banana Smoothie [$7.50] and I grabbed a Green Tea [$4] – unfortunately we didn’t have a drink menu before ordering so a standard green it was rather than one of the special blends. Next time I’ll go straight for the Chai Organic Green – or maybe the Rooibos and Rose. 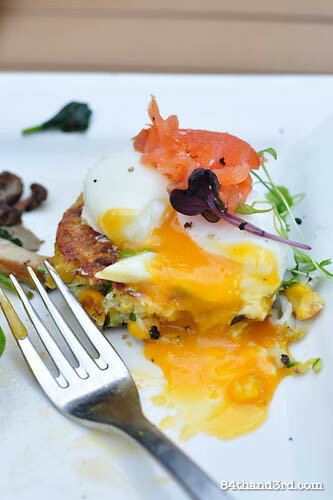 After much deliberation we decided on Poached Eggs on zucchini, corn & goat’s cheese fritters with smoked salmon [$17] and the Grilled Polenta & Tunnel Mushrooms with spinach, roast tomato & fresh herbs [$17]. It took a bit longer than desired to arrive but they came out looking perfect. We paused only long enough to split both before digging in. The mushrooms were flavourful and provided a hearty start to the day. 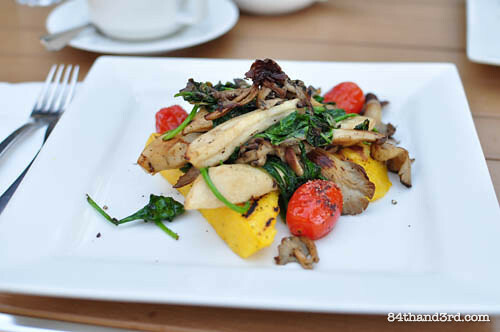 The grilled polenta was a nice break from toast and the spinach and tomatoes added just the right amount of freshness. The poached eggs were perfectly cooked and brilliantly runny. The fritters had bit more batter than some others I’ve eaten recently but still contained a good portion of corn and zucchini. They provided a substantial base for the egg and salmon while not being remotely greasy. We took full advantage of the beautiful morning and spent quite a bit of time just sitting in the sun reading the paper before heading out of town. 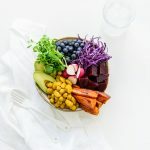 There was a slight detour to pick some blackberries on the way – but that’s another post for another day! 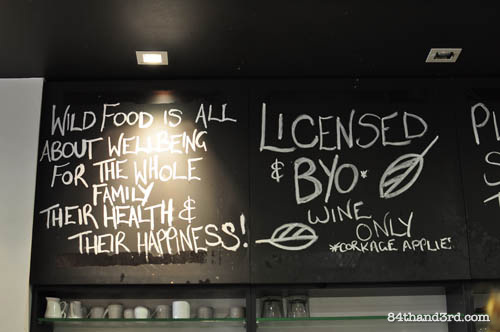 Value: Wild Food Cafe is on par with many Sydney brunch spots – and better value than most, especially when you consider the use of organic produce. We were more than full when done. 5 Senses: Open and airy, the use of materials fits with the positioning of the cafe. The outdoor area is lovely little green oasis – perfect in good weather. It would be interesting to see what it’s like in winter with the back closed up. Added bonus that you can grab organic groceries on the way out! Service: Slightly frazzled but patient once flagged. An extra drink appeared on the tab but was removed without hassle when we noticed it. 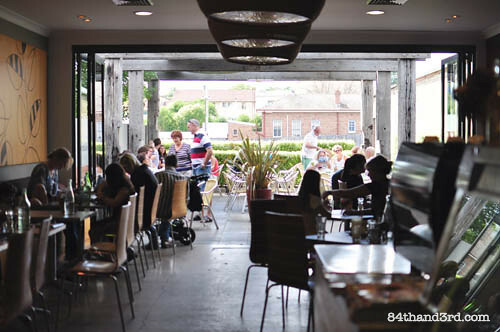 Boomerang Effect: We will take another trip down to Bowral at some point and this little cafe is most definitely on the list for a return visit. I’ve already recommended it to someone who was heading down. Delicious! Per usual RJ were there on our own accord and unbeknownst to Wild Food. The cafe looks so cosy and man!! 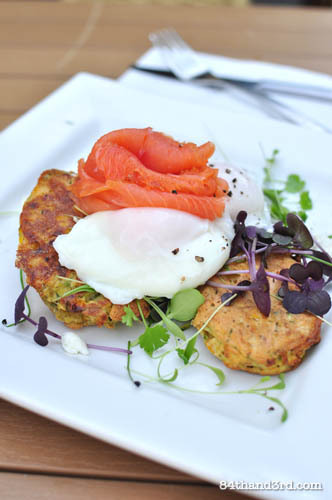 That poached egg looks so damn good! I love the egg too – but I love those lightshades more! Bowral rocks. We had a lovely time – and yes, very cool shades! Def worth a trip – I’ve never been to Bowral. You sure are good at finding those little jewels. It’s always great for a chef to see that his food is appreciated and enjoyed. Next time you are in, stick your head in the kitchen window and say G’day, I’m almost always there. After rereading your blog today, bit more time this evening, I noticed that you shared your plates. 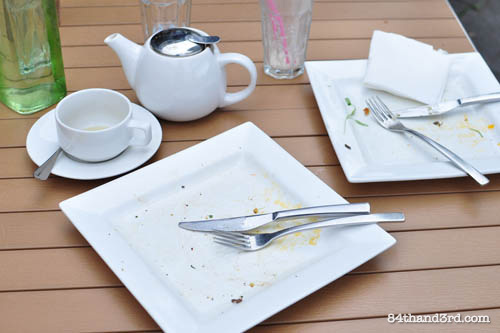 Next time ask for your dishes to be shared and we will present the plates for you. Our little added touch that make us unique. Love the last name of your Chef!